This is a little bit of a non-sequitur, reflecting on Father’s Day & Independence Day, and weaving both into the fabric of current events. I was driving to work one morning in early in June, on one of the last of those chilly gray rainy days, temps hovering in the 40s to 50s, but the weather was predicted to break, the sun would come out and we’d finally be in the 70s. I was wearing my camel brown L.L Bean barn coat, and thought I could probably leave it in the car once I got to work, since I wouldn’t need it at the end of the day. 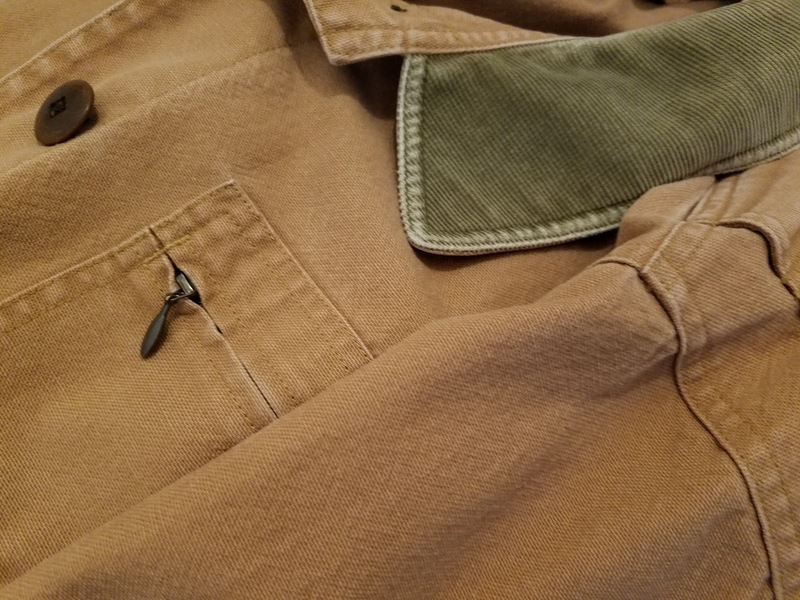 What’s the worst that might happen, I thought, but the coat might get a little more faded by the sun, which would only lend it an even more authentic, weathered and worn look. I had to chuckle at myself, though, given that the barn coat has never seen even one day in a barn. 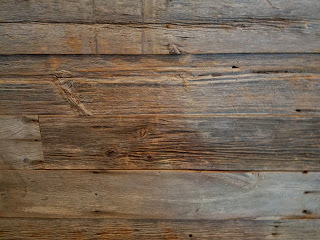 It’s ironic how, despite (or maybe in spite of) all the plastic, glass and steel modernity we are surrounded by, we still crave the organic, the natural, weathered barn board, the distressed look, white-washed ship-lap, the distressed look, flannel, lace, leather, and yes, old barn coats. Stuff that is real. Fleece that resembles wool. A simpler, truer, more genuine time. Real. This is the battle of contradictions being waged inside each of us. We are both animals, operating at a very primal, instinctual level, and evolved, logical, intelligent beings. It’s funny how primal it is, buried and stored deep in the animal part of our animal brain. 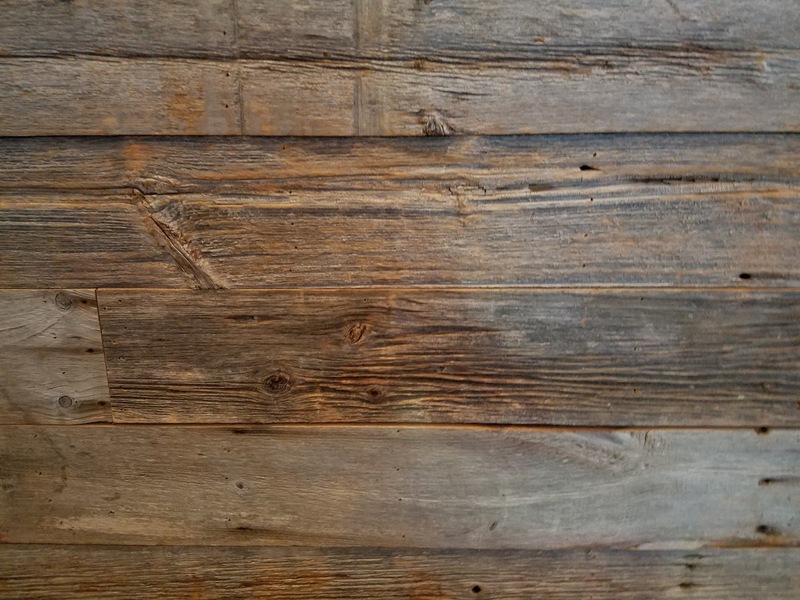 How the smell of wood smoke might be both alarming, a sign of fire, and yet also calming, reassuring, speaking of comfort, warmth, food, company. A heavy rainstorm likewise, a baby can’t sleep, at some deep instinctive level recognizing the threat rain and thunderstorms can bring, yet can also be soothing, refreshing, replenishing a life need. These contradictions also play out at Father’s Day, just peruse the card aisle, and you’ll see all the mixed expectations for fathers, and men in general, in our society. They’re expected to be rough and tough, rugged, “manly men,” as well as caring, nurturing, loving, providers, caretakers, and teachers. Sensitive, but still tough. No wonder it is so confusing for men – the expectations keep changing, and the world expects it all. Men who can be masculine, but yet still sensitive and caring. Believe it or not, there are even organizations devoted to promoting boys’ and men’s equal rights. One such organization is called Parity, in the UK. It’s an interesting argument that even within the most privileged class (white men), that some may still feel pressured or let down by society’s expectations. This thread ties back into the model presented by Professor George Lakoff that there are two ways that people view the world: those who come from and expect nurturing father figures (loving, caring providers) and those who expect the authoritarian head of the family (as in the movie, “Footloose”). Professor Lakoff would argue that the current schism dividing US society today is due to the conflict between these two opposed frames of reference. Those who believe in the nurturing father figure would promote a Government that takes care of its people, all of its people, even or especially the weakest and most vulnerable in the population, providing safety nets, and structures to take care of those who would be otherwise left behind. Those who believe in the authoritarian father figure would promote a Government that lays out the rules, and then gives people the freedom to care their own path, fend for themselves, literally, sink or swim. Tough love, no hand-outs. Confident. Recall, from a prior post, that the fastest way to de-motivate a white man in the US is to tell them that their success depends on the success of a team and multiple interdependencies. Culturally/socially, white men in the US are spurred on by the concept, the ideal, of rugged individualism, and making it on their own. This is not a fundamental truth about human nature; just our current culture. Other cultures put greater emphasis on teamwork, and that’s what they find motivating. We are perhaps in the midst of a cultural revolution, or evolution, that has spun off two polar opposite views of the world. We celebrate Independence Day, after all, not Interdependence Day. It’s not too difficult to figure out that the nurturing model reflects the Democrats, and the authoritarian, the Republicans. What’s shocking and fascinating and distressing is how powerful the message can be when it comes from a strong man. With a deep voice. I recall attending a workshop on Assertive Communication for women many years ago; so long ago that some of the other attendees worked at the store still known then as Bread & Circus. One of the most surprising things we learned: studies show that people (both men and women) find messages delivered in a deep tone of voice more credible. The deeper the voice, the more believable. At the workshop, we were actually advised to think of the word “aluminum” before we began speaking, because it prompts you to start talking at a deeper tone, and be heard more effectively. I’m going to make a little bit of a leap, and suggest there may even be a correlation between Lakoff’s model and music. In general, country music tends to be associated with red states, and what do you tend to hear more often in country songs? Really deep voices. The horrible, crazy irony is that we all probably want things both ways: Governments that provide safe infrastructure, and safety nets, and yet allow individual freedom to pursue happiness and associate with whomever we choose. And we as a society probably want men to be strong yet sensitive, manly but partners in parenting. There are even studies that might show that women are attracted to different types of men depending on where they are in their menstrual cycle. Damn hormones! The funny thing is that men are also victims or benefactors of their hormones. In the recent article by Therese Huston in The New York Times, she shares the results of a study showing that heightened testosterone levels might lead to overconfidence. The irony of course, is that more confidence usually has only helped in getting ahead in the world. Reference prior blog about the great confidence gap (“Challenge Yourself,” January 27, 2015). However, as pointed out in Ms. Huston’s article, there are times when overconfidence in your position could have dire consequences, as increased levels of testosterone are also associated with a decrease in reasoning power. Just when a man’s reasoning is impaired, he may feel most confident in his opinion. The article is worth a read, given the scrutiny women have been subjected to because of hormones. Egads, when Hillary almost passed out, she was probably just having a hot flash. Anyway, it brings us full circle around to the question – are we human, intellectual beings capable of compassion, empathy and logical, rational thought; or are we really just highly-evolved animals, still just the products of our biology? Don’t be a slave to the lender. Don’t live for the love of money, but for what it can do for people. On Thursday, June 29, 2017, social media, the press and politicians lit up, reacting to President Donald Trump’s tweets mocking the cable news anchors, Mr. Joe Scarborough and Ms. Mika Brzezinski, probably reacting to their jests at his expense, about his fake Times magazine covers on the previous morning. Practically everyone came out of the woodwork, coming to Mika’s and Joe’s defense, calling Trump a bully, and telling him to stop tweeting, as his messages are unbecoming and do not honor the dignity of the office. Finally, but why now, I ask? Think about how many other people he has mocked and bullied: the news reporter with a disability, politicians’ wives, practically all women, Senator McCain, an honorable man, a Veteran, and a former Prisoner of War. For whatever reason, this is the line in the sand that has been drawn, and now finally everyone is outraged. #1 The real problem is the society that President Trump reflects. It is just as Mr. Harold Ford said on Morning Joe the next morning, that the real problem is our society, the Trump supporters who still see nothing wrong with what he is doing (see my previous post about the 38%). President Trump in a way is just a symptom of the larger problem; the root cause is the disease in our society fostering and promoting such a hateful, misogynistic, uncaring, racist, sexist leader. It feels like we are in the last chapter of the book, The Lord of the Flies, and the savages have taken over, the conch is lost or broken, except that there are no grown-ups landing on our shore to save us, and restore order and civility. #2 This is a dangerous distraction. These petty fights and constant chaos are a dangerous distraction to the serious business of governance and engaging as a world power on a global stage. May I remind everyone that a little-known leader in Afghanistan quietly declared war on the United States during a previous distraction in the White House, while we watched the day-to-day enquiry into shenanigans mildly resembling an adult version of the board game, Clue: Bill Clinton, with a White House Intern, in the closet, with a cigar. While we were busy debating the precise definition of a sexual relationship, Osama Bin Laden declared war on us, and no one noticed or paid attention. It was page six news, literally. I remember that. Afghanistan. Prior to 9/11, a country I had not thought about since grade school, when at practically every Sunday Mass, from fifth grade on, Father Jackson would include prayers for Af-uh-ghan-is-tan, somehow making it into a five-syllable word, yet never taking advantage of that teaching moment to talk about why we were praying for Af-uh-ghan-is-tan, or the people there, or even what we were praying for, what might be our desired outcome. Father Jackson was a severe figure, towering over us, and he kind of scared us. Maybe he was mean. Yet, his meanness offered the possibility for a small moment of kindness. One time in class, a student who was normally one of the really well-behaved kids did something a little out of character, and said or did something while Father Jackson’s back was turned, and he spun around asking who did that? One of the perpetually bad boys spoke up, and took the rap for the “good kid.” It was just one more thing the “bad kid” was going to get yelled at for; it would have up-ended the world for the “good kid.” And, funny how it is, that this, THIS is what we remember, these little ironies, dramas, and tragedies that stay with us, playing over and over again, and these small acts of kindness, at its most basic, simple, fundamental level, how we can help people. I would like to remind everyone that the Office of the President of the United States is still, always, and foremost that of a public servant, working for the best interest of the people. If President Trump got upset about getting teased about the fake magazine covers, he should have considered another response: own it and have a good laugh at himself. Admit he had the magazine covers made up, as a joke; thought it would be fun. Yes, Mika and Joe were making fun of Trump. Yes, Trump was mean. Everyone just needs to stop. Stop the pettiness, the humor has passed, and there are so many much larger issues that need our attention: health care, jobs, retraining the workforce for the new economy (the old manufacturing jobs are not coming back, coal is over), North Korea, chemical weapons in Syria, Mosul, ISIS, refugees, Russian hacking of our energy networks, and of course, Af-uh-ghan-is-tan. Hope everyone had a Happy Father’s Day & a Happy 4th of July! This blog is dedicated to Mr. Peter Leckie, a member of Parity, who passed away in early June. He was a gentle soul and will be missed. An ode to the sensitive man: “Too Much Saturn,” by Francis Dunnery. Asking the question, “Are We Human, or Are We Dancer,” are The Killers. “In The Sun,” by Joseph Arthur, performed by Chris Martin and Michael Stipe. Lastly, “Afterglow,” by INXS, urging those left behind, to live on. Get the theme – kindness, humanity, and finding our way. Together. Sometimes we need poetry & bread! I might put all the radio show links together, in sequence, in a future post, so that readers/listeners can find them a little more easily and listen to the shows in order. Together, the six shows document this highly historic time, attempting to make sense of these strange and difficult times in our country. As always, comments and suggestions are always welcome! WBCA is a community radio station sponsored by the Boston Neighborhood Network, and is on the air from 6 PM to 2 AM each night. Jumana Hashim is a current member of Beantown Women’s Rugby Club, while Rosemary, aka Rosebud, Schmidt has been retired a few years. We are taking a little break from the radio show over the summer, but we hope to be back on the air in September. I’ll post blogs as topics come up. Maybe we’ll even talk about something other than politics this fall, such as matters pertaining to public health: health insurance and the Affordable Health Care Act, concussions, stress, water quality, antibiotics, the microbiome, nutritional supplements, and diet. Huston, Therese. Men can be so Hormonal. The New York Times. June 24, 2017. Lakoff, George. 2017. George Lakoff: Trump Tweets, Press Leaps. Vox Populi. Merullo, Roland. 2017. In defense of the white male. Boston Globe. July 3, 2017. O’Connor, Anne. Poetry on the menu at historic Bull Run. Nashoba Valley Voice. July 3, 2017. Velez, Yamil, and Howard Lavine. 2017. Racial Diversity and the Dynamics of Authoritarianism. The Journal of Politics. April 2017. White, Daphne. 2017. Berkeley author George Lakoff says, ‘Don’t underestimate Trump.’ Berkeleyside.com. May 2, 2017. Your personal willpower that you could get that is all through acquired turn out to be quite effective and possess regularly allowed employees similar to me to achieve at their desires. Thank you! Wishing you all the best. Go forward, support!